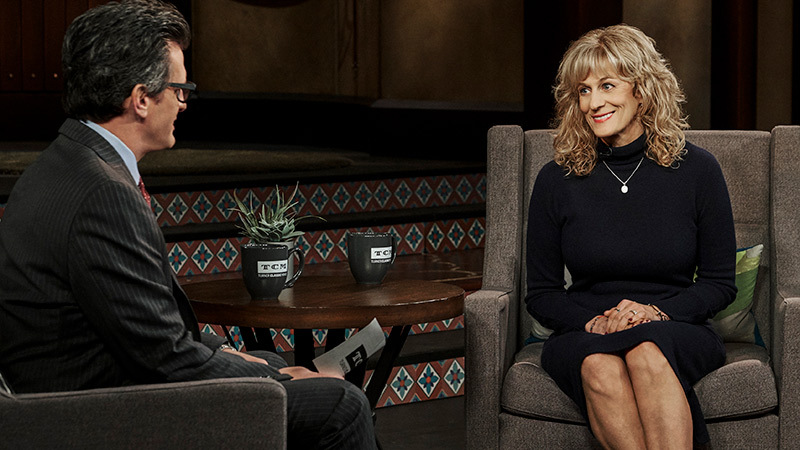 TCM movie host Ben Mankiewicz is joined by guest programmer and TCM contest winner, Valley-native Lori Shutrump, who dedicated the 1968 Steve McQueen film “Bullitt” to her father. Meet #TCM25 Fan Dedication winner Lori Shutrump. Lori dedicated “BULLITT” ('68) to her father. You can see you Lori with TCM-host Ben Mankiewicz at 10 p.m. Monday on TCM. When Lori McMurray Shutrump’s father died unexpectedly in 2018, it became a very difficult situation for her to deal with. Shutrump grew up in Boardman with her parents, Edward and Pat McMurray, and saw firsthand her father’s love of anything on wheels – cars and motorcycles. He was happiest when he was in his garage. After her father’s funeral, Shutrump returned home to Cincinnati and turned to her passion – watching old movies on Turner Classic Movies – for some solitude. The 1968 film, “Bullitt,” starring Steve McQueen was on. As she watched the film, filled with classic cars that lined the San Francisco streets, she couldn’t help but think of her father and his love of cars. And while it was the cars that drew her into the film, it was more McQueen’s role as Lt. Frank Bullitt that kept her interest, as Shutrump couldn’t help but notice how much the character reminded her of her father: smart, protective, respected and hardworking. While watching the movie, Shutrump did some research and learned that McQueen also loved cars and how both men had died from the same type of cancer – mesothelioma. “There were so many layers of connection that I was actually comforted by this mob-murder mystery-car chase movie, and I realized that my dad was with me and would always be with me,” she stated. Shutrump, a 1982 graduate from Boardman High School, saw that TCM was looking for people to dedicate a movie to a special person in their life for the 25th Anniversary of Turner Classic Movies. In November, she shot and entered her video entry for the contest and was soon notified that she had been chosen to be one of the 25 fans that would get to dedicate a movie, out of the more than 700 entries TCM received. “I love movies, the older the better, and TCM is my happy place,” Shutrump said.